Note: This is a summary and analysis of the book and not the original book. 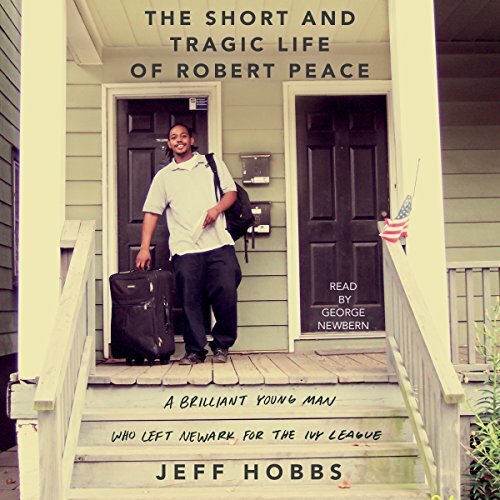 In The Short and Tragic Life of Robert Peace, Jeff Hobbs seamlessly weaves the socioeconomic and racial realities of the residents of Newark, New Jersey while highlighting the story of a mother and son, Jackie and Robert Peace. Hobbs' research and intimate writing style provides the listener with an in-depth view of what Jackie endured to give her son a chance at a better life. 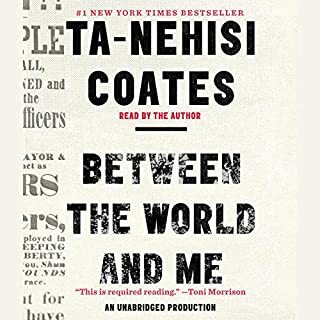 A heartfelt, and riveting biography of the short life of a talented young African-American man who escapes the slums of Newark for Yale University only to succumb to the dangers of the streets - and of one's own nature - when he returns home. Through an honest rendering of Robert's relationships - with his struggling mother, with his incarcerated father, with his teachers and friends and fellow drug dealers - The Short and Tragic Life of Robert Peace encompasses the most enduring conflicts in America: race, class, drugs, community, imprisonment, education, family, friendship, and love. It's about the collision of two fiercely insular worlds - the ivy-covered campus of Yale University and Newark, New Jersey, and the difficulty of going from one to the other and then back again. It's about poverty, the challenges of single motherhood, and the struggle to find male role models in a community where a man is more likely to go to prison than to college. It's about reaching one's greatest potential and taking responsibility for your family no matter the cost. It's about trying to live a decent life in America. But most all the story is about the tragic life of one singular brilliant young man. His end, a violent one, is heartbreaking and powerful and unforgettable. What made the experience of listening to The Short and Tragic Life of Robert Peace the most enjoyable? Robert Peace, the main character, is charismatic, driven, focused, and flawed. HIs should've been a life of steady ascension, despite a tough start in life, and instead he ended up driving in literal circles. 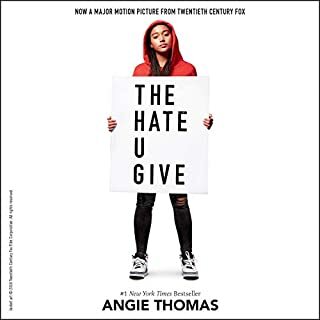 The book functions not only as a tale of triumph and loss, but also as an object lesson in the problems poor kids face in improving their status/lot in life. And the book does it without wallowing, and in beautiful prose that sidles up to poetry. What was one of the most memorable moments of The Short and Tragic Life of Robert Peace? There was no single moment: as this tale is a series of small moments, of how tiny hiccups--which would be totally surmountable by the middle class, and even the lower middle class--are the stuff that derails lives and destroys opportunities, for those who live below the poverty line. But it is not all tragic, in it, Robert's extraordinariness shines through and there joy he experienced in his life is conveyed here too. I thought he was wonderful, really excellent. The quality of this narration would make me seek out his other projects. Yes. I only stopped because I fell asleep. I think anyone who is curious about why poverty is ingrained as a seeming unovercomable obstacle in this country should read this book. It's hard not to get hooked into Robert Peace's story, which is so well-written by his friend Jeff Hobbs and performed so elegantly by George Newbern. 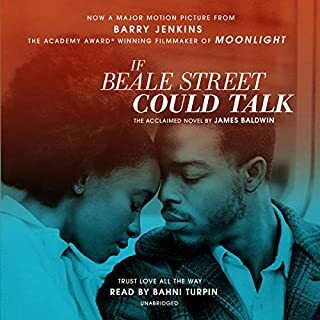 Even knowing how it'll all end, based on the book's subtitle, you can't help but hope that the brilliant, loyal, but conflicted Peace will still somehow turn it all around. This is very compelling narrative nonfiction, and I'll be looking for more of Newbern's narrations in the future. Gorgeously written, deeply felt memoir of the author's Yale roommate, the ironically named Robert Peace. Whether he was 'Newark-proofing' himself as DeShaun or 'fronting' as Yalie Rob, Peace was a brilliant, engaging, profoundly conflicted young man. Author Jeff Hobbs writes as though he were born to tell his friend's story. 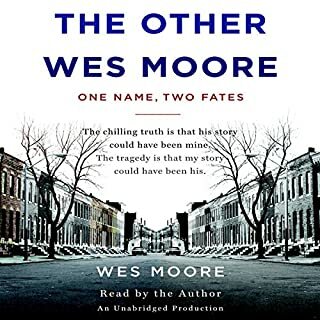 The narrator George Newbern is one of the best I've heard on Audible. No embellishments; just a real understanding of and appreciation for the author's prose. The story of Robert Peace is both heartbreaking and compelling. 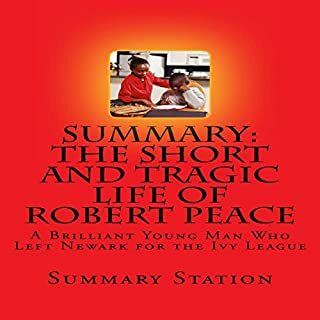 Written in narrative nonfiction style by Rob’s former Yale roommate Jeff Hobbs, The Short and Tragic Life of Robert Peace documents the life of a brilliant and big-hearted young man that rises from poverty to graduate from the Ivy League – only to struggle to shake the anchor that binds him to the streets of Newark. 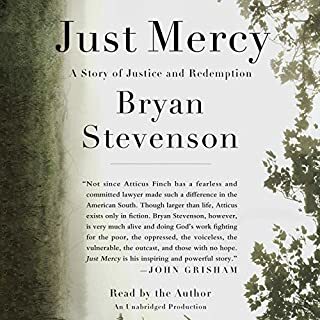 While the book’s outcome is a given from the title, the gripping narrative voiced by George Newbern leaves you helplessly rooting for Rob throughout every stage. Though the title lets you know the outcome before the first word of the book begins, Jeff Hobbs has you rooting for Robert Peace who is presented with all the triumphs, complexities and foibles of his short life. What did you love best about The Short and Tragic Life of Robert Peace? "The Short and Tragic Life of Robert Peace" is a tremendous accomplishment. I offer my deepest gratitude to Jeff Hobbs for his unflinching narrative and devotion to detail. Though I cannot agree with the brief criticism (inconsiderable, in my opinion, set side by side with the scope of this work), The New York Times' Anand Giridharadas wrote the following of the book, perhaps the closest and best encapsulation I've found: "It deserves a turn in the nation’s pulpit from which it can beg us to see the third world America in our midst. Robert Peace, who called his mother “my heart,” was her only and beloved son. But he was our son, too. We are the wondrous country that made him a Yale man. We are the wanting country where even that wasn’t enough to spare him." I loved the writing, and how it felt as if you had a seat next to Rob and his friends and family. Rob's Mom, for her strength and dignity. A great story teller! Very easy to listen to his tale. Every chapter had a moment, the whole life of Rob is an incredible journey. I was stunned how his life ended. I had to force myself to finish this book. Once it's revealed that it is Rob's college roommate writing the book, it seemed to me it became very much NOT about Robert Peace, but about Jeff Hobbs and the fact that he knew Robert Peace. I found the writing incredibly self-indulgent and, in parts, the details he chooses to include are just ridiculous. Not only would people he interviewed NOT have been able to provide what Robert Peace was thinking at that particular moment, CERTAINLY Jeff Hobbs cannot presume to know. I would love to know what Robert Peace would think of this book. There is a difficult subtext to this engrossing tale. Rob Peace was a brilliant kid who managed to overcome poverty and a father in jail to graduate with a degree in molecular biology and biophysics, one of the toughest science programs at Yale. He was popular, studious and funny. But then Rob slid into a life of petty crime and dispiriting restlessness. What happened? Rob and his buddies, his "Burger Boyz," came together as a study group in their Newark neighborhood, promising students at a prestigious private school that focused on providing discipline as well as a strong education to disadvantaged kids. The boys were constantly torn between their ambitions to succeed and the peer pressures of their neighborhoods. Outside their homes, drug dealing and violence were common and admission to Yale could be seen as a disgrace, an unacceptable rejection of those staying in the neighborhood. Rob had a strong ethical sense, but he was also loyal to those he knew on the streets, the old friends of his equally smart but unlucky father. After college, he kept falling back into patterns of weakness. His end was not inevitable, but there is a strong sense that the "real Rob" could not have abandoned the friends and neighbors of his childhood for the more typical career of a Yale graduate. Jeff Hobbs is an excellent writer, wrestling quietly with the underlying societal issues that held back and sabotaged Rob and so many of his friends. The book is compelling in its first half, through Yale graduation. It bogs down a little after Rob's graduation, as he aimlessly travels the world, dabbling with various business plans, legal and sometimes not. There is so much sadness and even anger at the way Rob's rocket ship of a life fizzled out. The narrator was very good. By the end of the book, the reader misses both Rob and the sympathetic author's voice. I loved this book. I learned a lot about checking one's white privilege. I think the story was well written, well paced and gripping till the end. The reader was really good but there were a few mispronounced words like "affluent" which was used quite a few times. I'm surprised when the editors, in this digital age, don't catch these mistakes. I would recommend this book. It was well written and structure. It was obvious a lot of detailed and empathetic research went into the many individual detailed accounts. The story was intriguing but I felt the author's bias caused a failure to adequately highlight the fact that a lot of Rob's problems were self-inflicted. I did appreciate the well depicted contrast of the two worlds Rob found himself in as well as the constant tragedy Rob faced everyday switching between the two worlds, never able to fully commit to either his past with family, friends and familiarity or his new world of potential. Overall a solid book I enjoyed listening to, thank you.